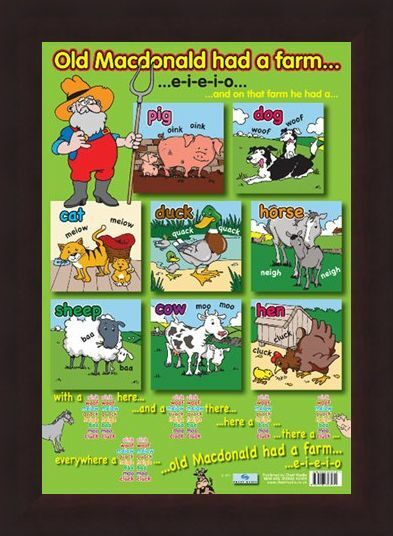 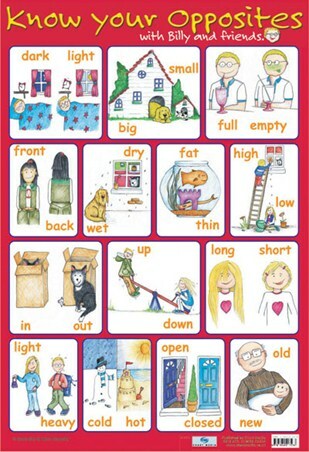 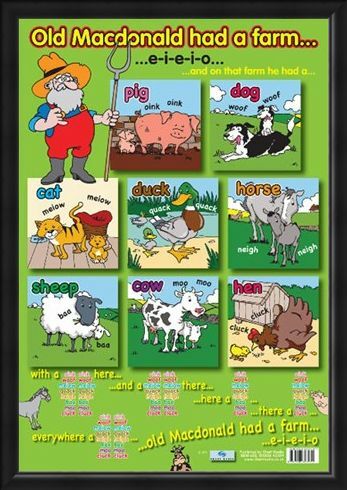 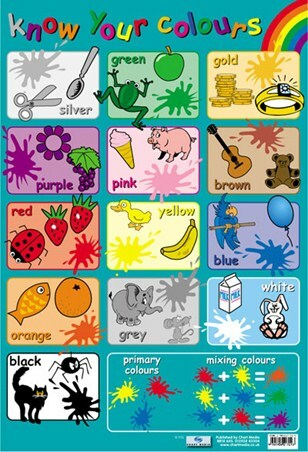 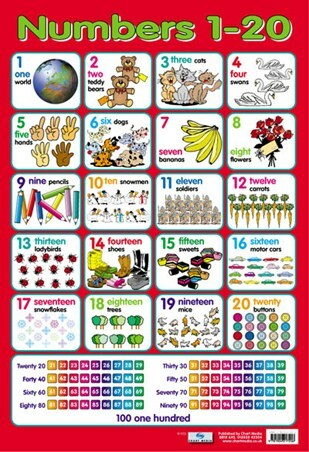 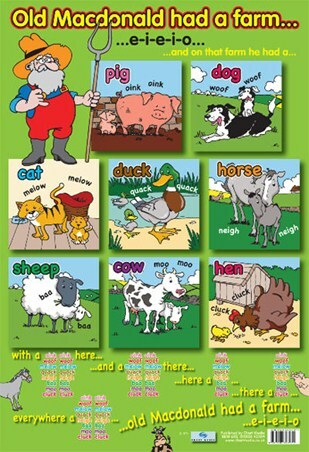 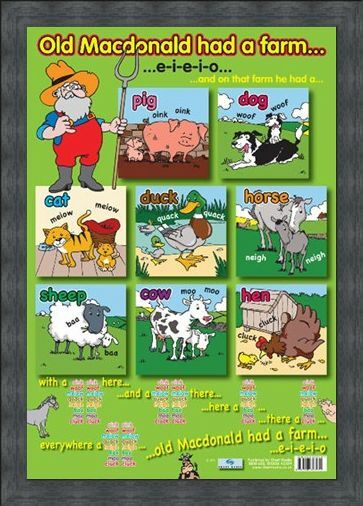 Old Macdonald's Farm Mini Poster: This glossy poster brings to life the classic children's song "Old Macdonald Had A Farm..." with bright colours, illustrations and the words so you can sing along. 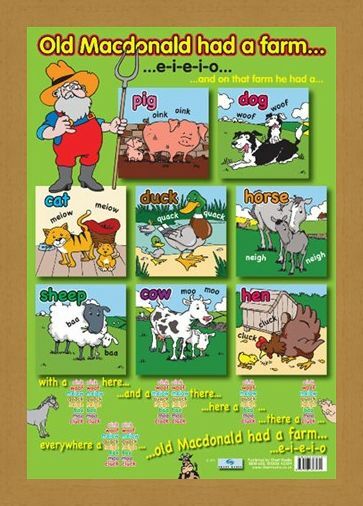 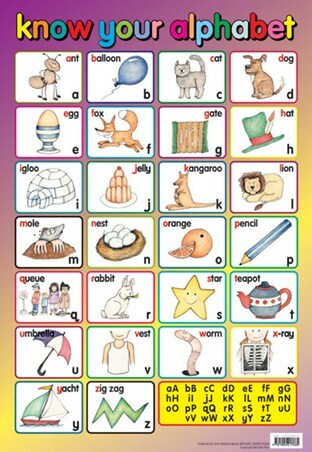 Following Old Macdonald are pictures of all of the animals he had on his farm, with their names and the sound they made; from the pigs who went "oink", the cats who went "mieow", the horses who went "neigh" and the cows who went "moo". 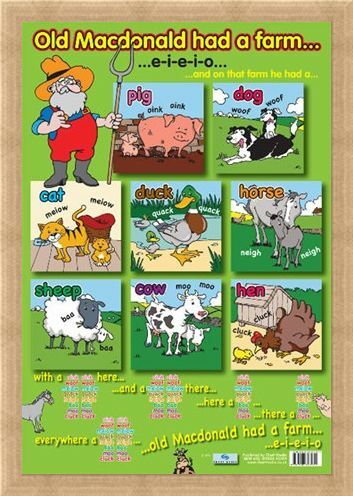 Your little one will have hours of fun singing along to Old Macdonald and learning all the farm animals as well. 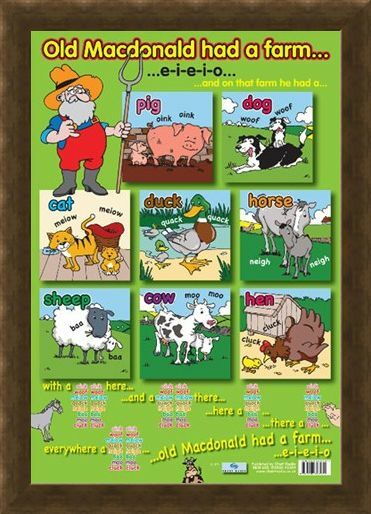 Great for at school at home or even on the farm! High quality, framed Old Macdonald's Farm, Traditional Nursery Rhyme mini poster with a bespoke frame by our custom framing service.